What to do when you have a big old barn with a cement floor and electricity? 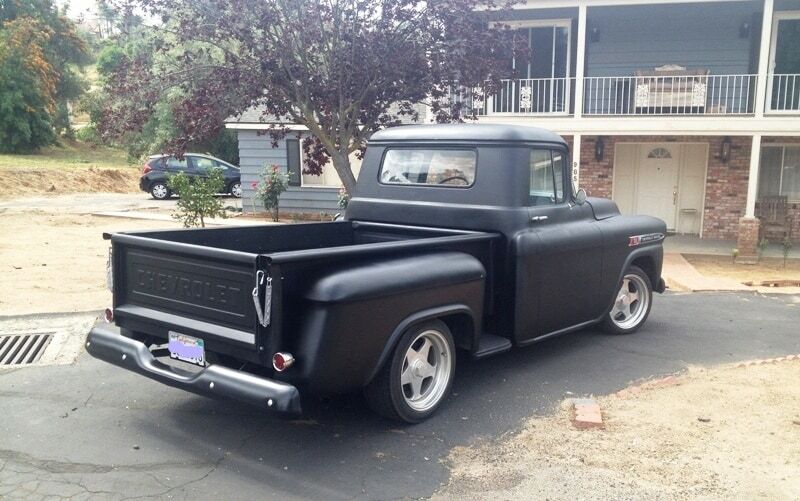 Go find an old truck, of course. 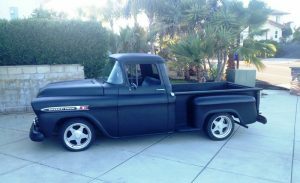 In this case, we jumped in with both feet and ended up with a somewhat sorry 1959 Chevrolet 3100 Apache, short bed, step side, small window. 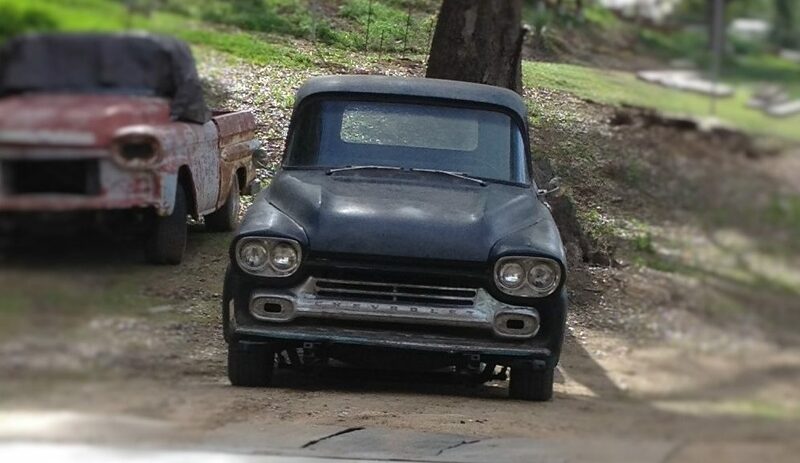 A few words about the “patient.” The truck would barely run as the carb was spewing fuel through the throttle shaft. During the test drive the previous owner almost slid the thing through a stop sign into cross traffic because only one of the drum brakes seemed to be doing its job. And the god awful bench seats smelled like an open sewer. 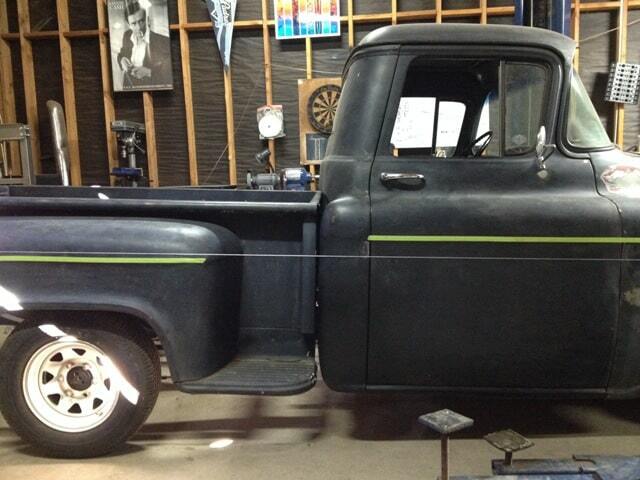 On top of that, the left front corner of the cab was low due to a rust problem where it mounted to the frame. Heart of the 1959 Apache, the fresh 350 engine… check the rebuild article posted previously. 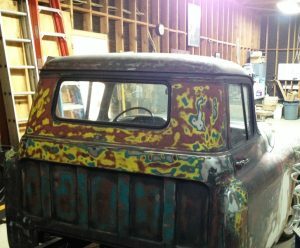 We shored up the front cab corners with 1/4 inch steel, rebuilt the drum brake system, added new shocks all around, installed a drop axle at the front, and lowered the rear to match it by re-curving the main leaf spring and removing the supplementary extra stack of leaf springs. 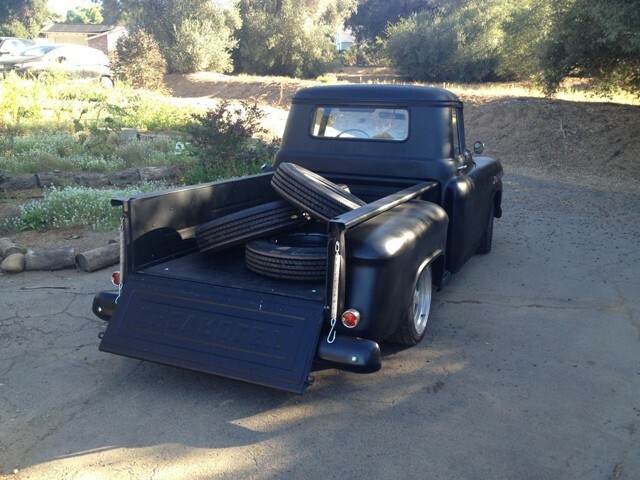 We replaced the rear cab corners and then spent weeks cleaning up the body and chassis and prepping for paint. Using string and tape to line up the bed with the cab prior to mounting on the frame. The colors lurking under that old black paint. Checking out the fender emblem and Boyd’s 17 inch rims against the light gray primer. 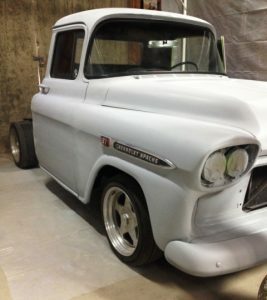 Next truck might be light gray! 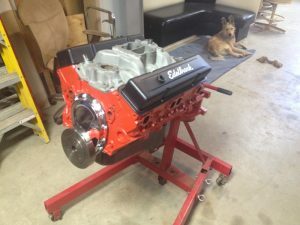 At this stage, we have stuck with manual 4-speed Saginaw transmission, manual steering, and the drum brakes sans power assist. However, having just added CPP’s easily installed power steering and power assist brake kits to the ’56 “Farm Truck,” these improvements might soon appear on the Apache. 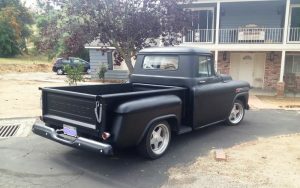 The rear end is a bit noisy, but we’re living with it for now, until the Farm Truck is finished and on the road. At this point, it’s just time to enjoy driving the big hunk of steel. The rake of the chassis, with the front end low, and the 3.90 ratio rear end make it feel sporty on the twisty roads between home and shop. The ’59 Apache looks like a compact truck next to bro’s GMC hauler… it does haul with 900+ lbs of torque. New tailgate and a little bright stuff at the rear. The Apache ready for a cruise. 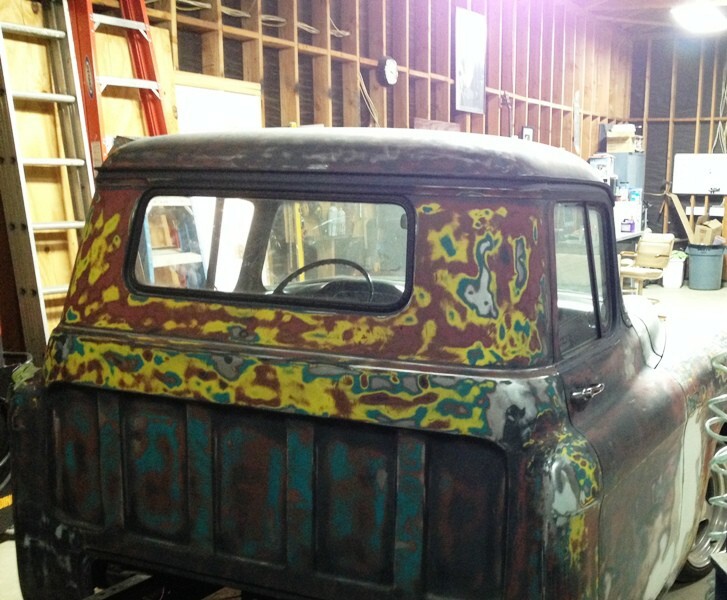 The Barn’s “first truck” isn’t a show stopper, nor is it completed to our satisfaction yet. 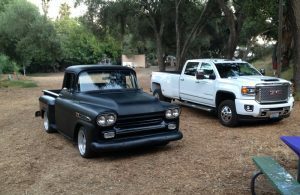 On the other hand, our key phrase for the Apache during the build was “next guy.” So maybe it will just change hands as is, to add a little to the budget for our next project… the ’58 GMC seen behind the Apache in the title picture. The Apache hauls… new 17.5 radials for the ’56 Farm Truck.